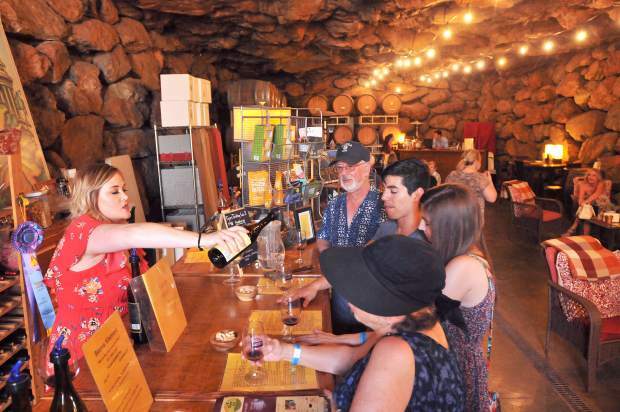 Wine trail travelers enjoy a sip of wine from inside of Vina Castellano's tasting room, called the cave, during Saturday's Sierra Vintner's second wine trail of 2017. 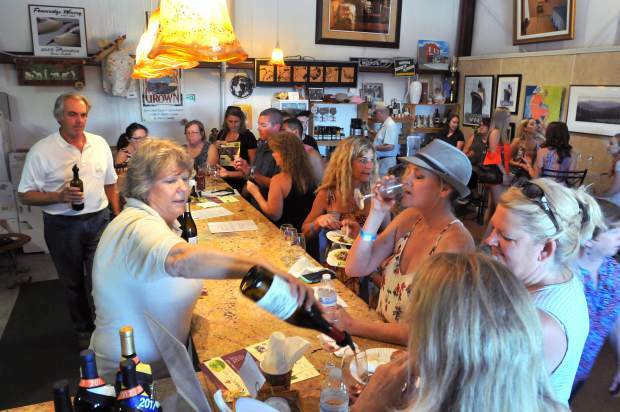 Wine trail enthusiasts crowd into the air conditioned Fawnridge Winery tasting room where a full band was on hand to provide entertainment. 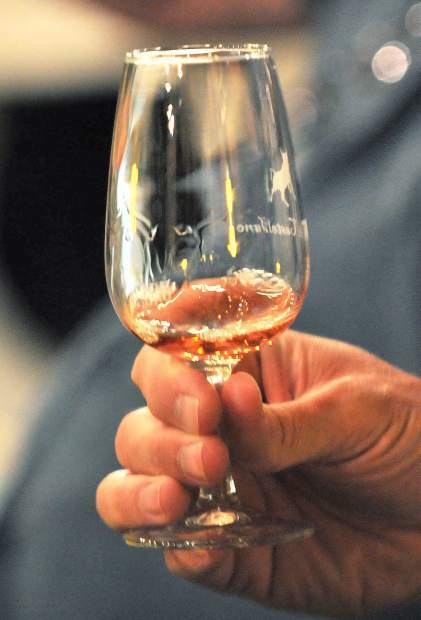 A wine taster examines a glass of wine during Saturday's Wine Tour. Vina Castellano tasting room hostess Alexis Godtfredsen (right) talks to Penn Valley's Ron and Diane Fontaine about the Abuelito and La Borracha wines she's pouring. Folks enter the Vina Castellano tasting room, aptly called the cave, during Saturday's wine tour. Glasses line up to get filled with tasting portions during the second of three Sierra Vintner's 2017 Wine Trail tours. 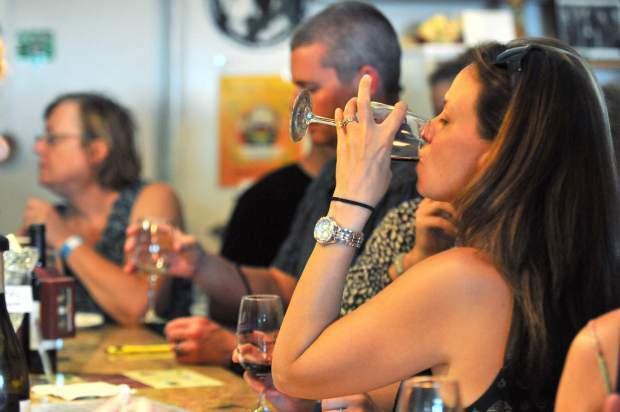 A wine trail enthusiast takes a sip at Fawnridge Winery during Saturday's winery tour. 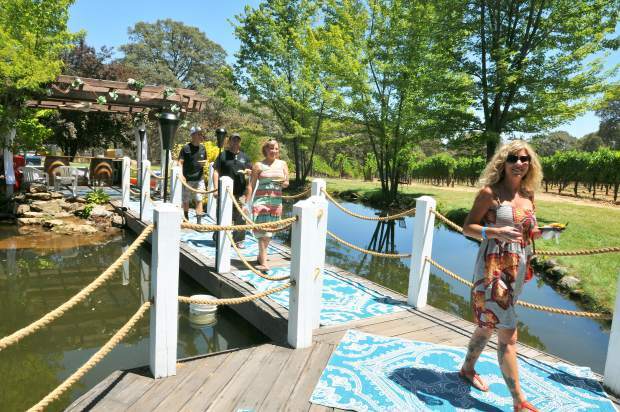 Folks enjoy the grounds of the many different wineries including the ponds of Vina Castellano during Saturday's Wine Trail. 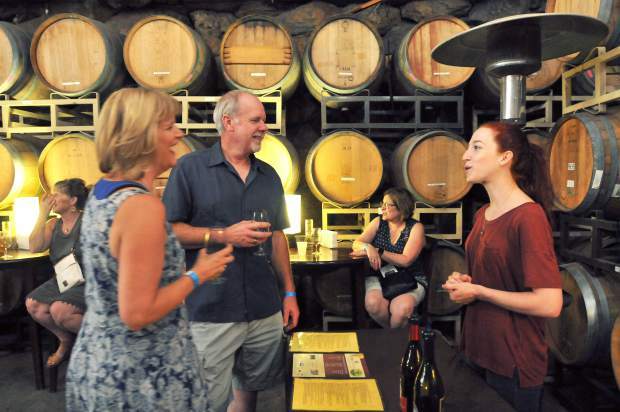 Grass Valley native Cassandra Jenkins pours wine to Wine Tour attendees from inside the entrance of Vina Castellano's tasting room, called the cave. 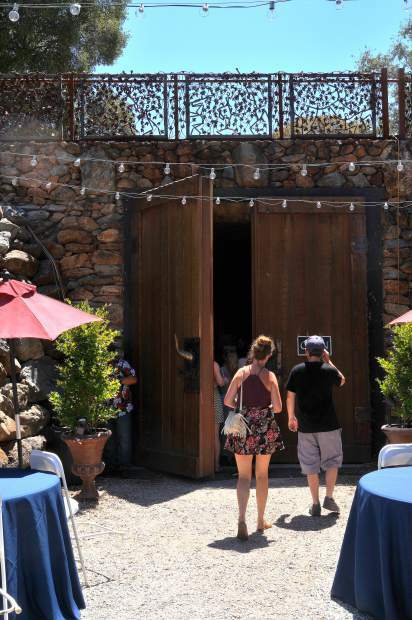 Wine enthusiasts were able to tour some of the area’s most beautiful wineries while tasting some of their award winning creations during Saturday’s Sierra Vintner’s Wine Trail. This was the second of three winery tours for 2017, with each tour highlighting some of the 25 other Sierra Vintner’s wineries. Folks had their choice of nine total wineries on the tour including Bear River Winery, Bonitata Boutique Winery, Fawnridge Winery, Lone Buffalo, Vineyards, Mt. Vernon Vineyard and Winery, Naggiar Vineyards, Sierra Knolls Winery and Vina Castellano Winery. Each location poured from their selections and many featured live music and food. 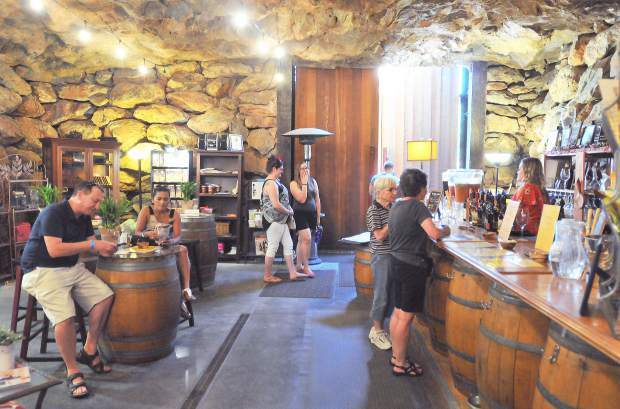 Vina Castellano’s ‘cave’ tasting room compliment’s the rustic charm of their Spanish heritage wine, while Fawnridge Winery’s full band and fresh art kept folks entertained while owners Stewart and Stephanie Perry kept the wine pouring. 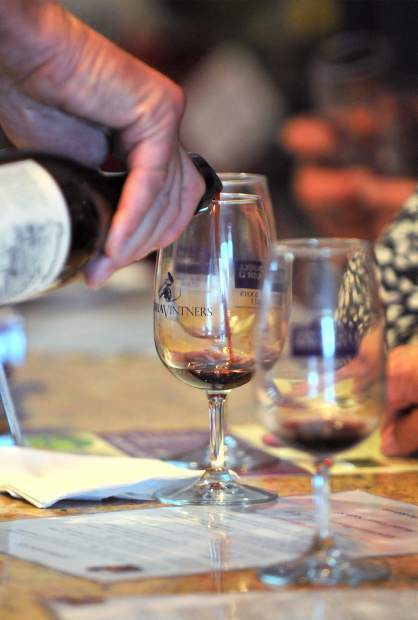 The next and final Wine Trail of 2017 is scheduled for Sept. 23. For more information visit, http://www.sierravintners.com.